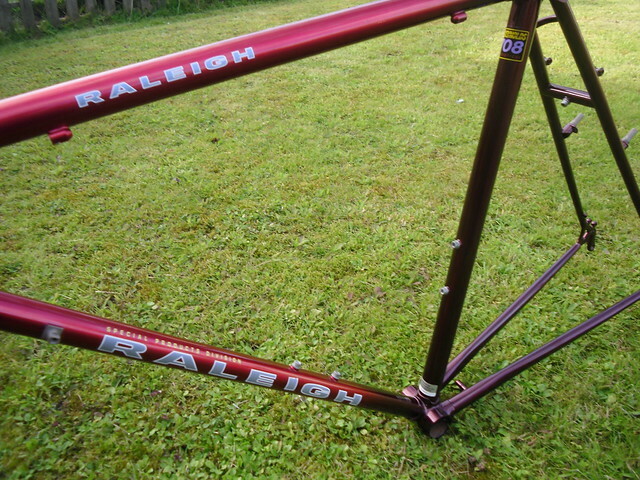 Post subject: Raleigh Randonneur Special Products Division? 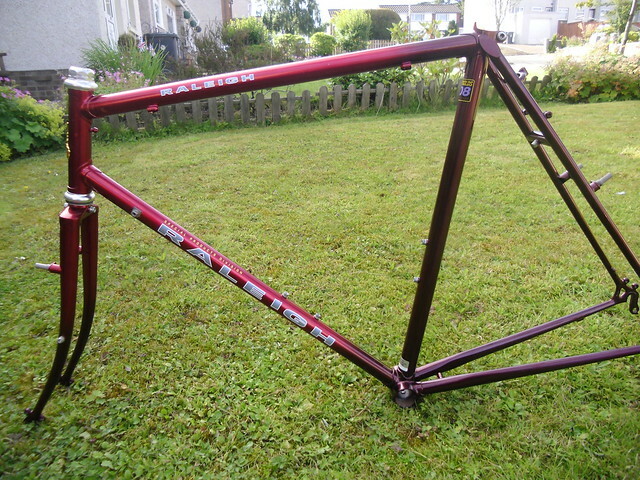 Bought this frame from a seller who claimed it was a later version Randonneur. It is stickered SPD and while I don't doubt that, i'm to sure it's a randonneur. It certainly doesn't say Randonneur on it. Can anyone help or does anyone have one? It's got a 708 tourisique sticker on it and I have take a few pictured to help. 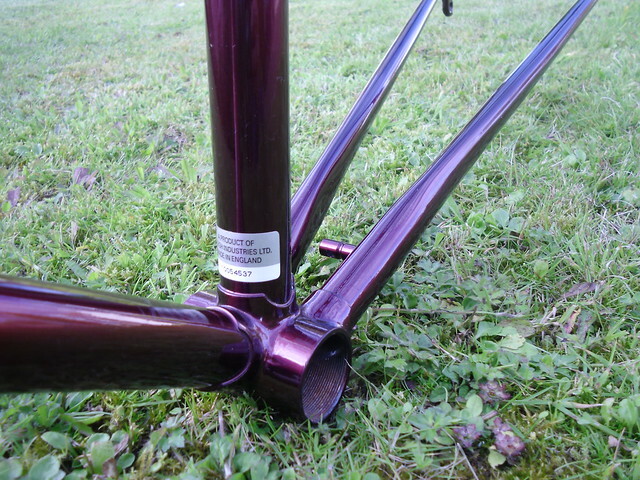 Someone has uploaded a catalogue from SPD with a touring frame on it called the Gran Sport and although the paintwork looks like of similar, mine only has the red fad at the back at that one was 708 classic. When I seen pictures before I got it I thought it was this one which is alittle bit down but it's not - http://forum.ctc.org.uk/viewtopic.php?p=54941 . 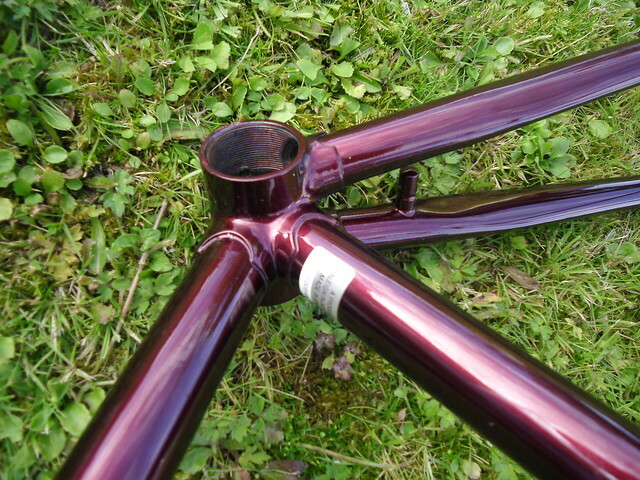 It also does not have any chainstay spoke holders but does have everything you could expect for a touring bike. Last edited by ksvb5368 on Fri Aug 03, 2012 12:04 am, edited 1 time in total. Very nice, should you think of moving it on, think of me. 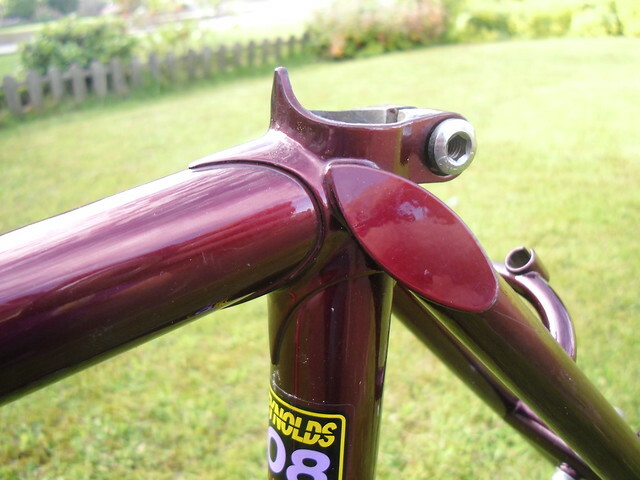 Didn't SPD bikes have their own head tube badge ? I'm really not too sure. I think I read in that other article that some people that used to work in the SPD come on this forum. I was hoping they could help! Shazaaam !!! Here I am !!! 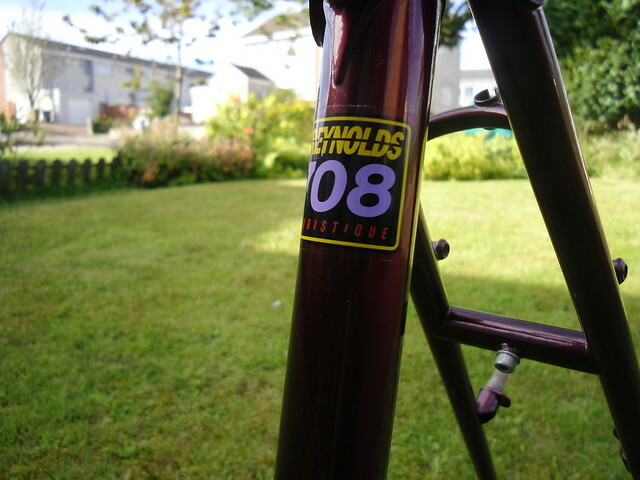 The silver BS6102/2 sticker means that it was originally sold as a frameset, not as a built bike. Amazing! But I take it you don't know which model? Or was it perhaps custom? 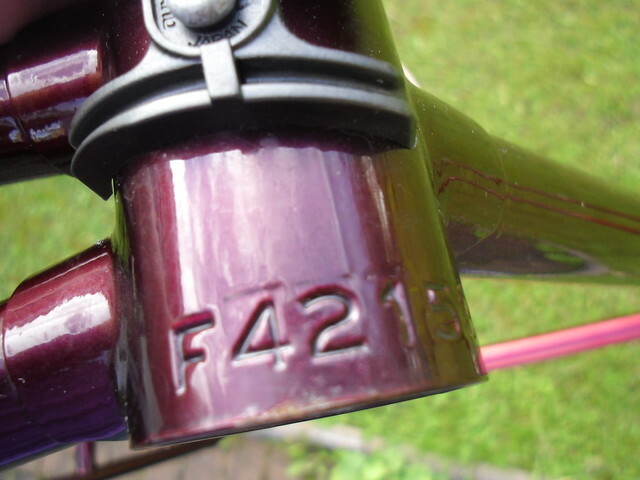 and do you know what the TI15 and TI14 stamped on the rear stays mean? 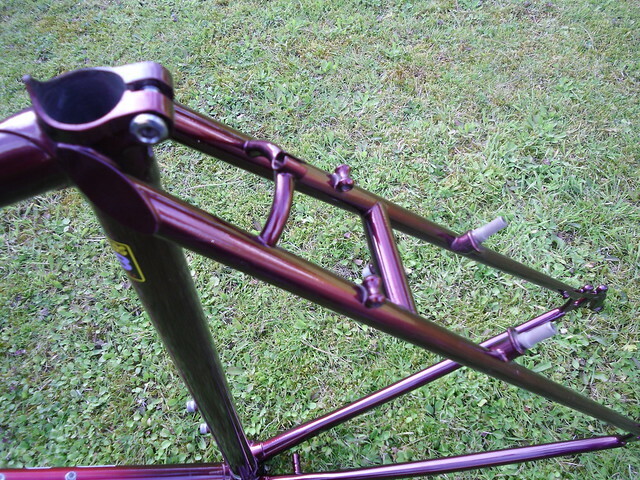 Being sold as a frameset only makes sense because it doesn't even look like it's ever had wheels put on it. What have you got planned with the build? 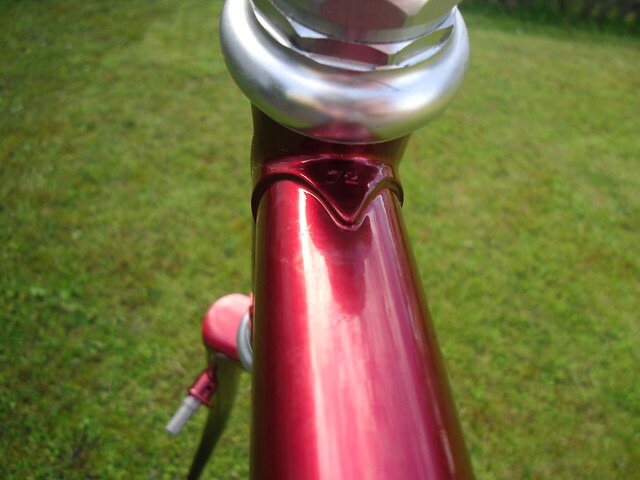 Didn't SPD bikes have their own head tube badge? 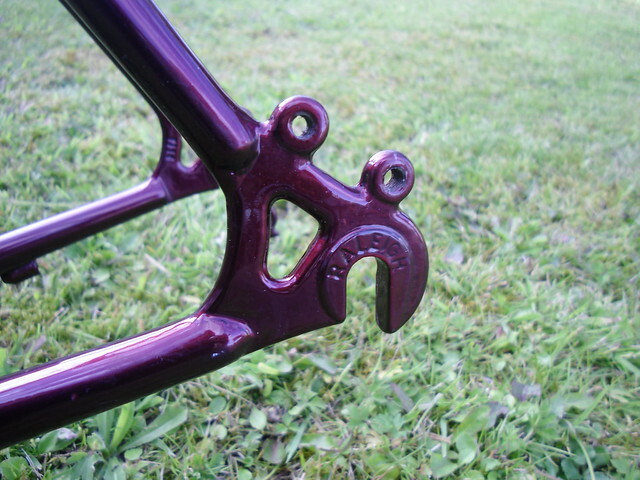 The very last RSP bikes (including the final series of Randonneurs) used a round stainless heron's-head badge. 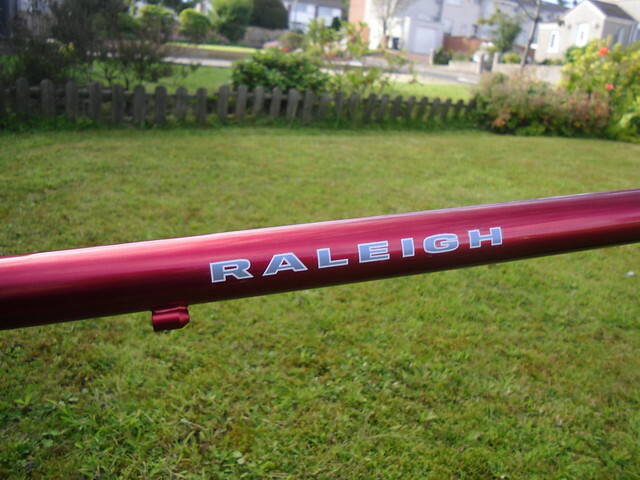 Prior to that, they used the standard Raleigh heron. 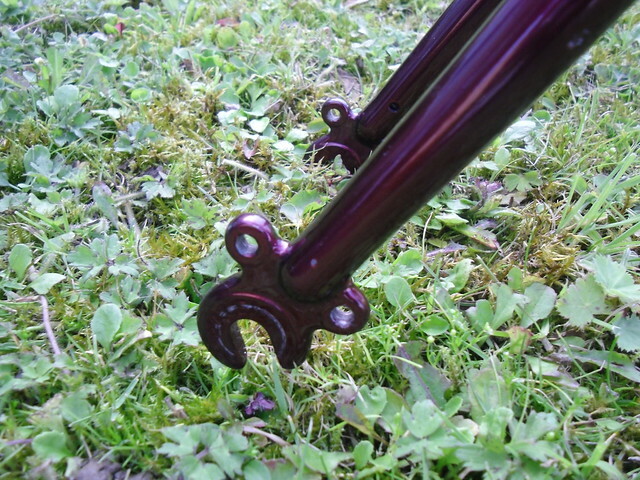 The last Randonneurs also had a dynamo braze-on on the fork, so this isn't one of those. It does look very much like the Gran Tour that was sold as a frameset though.